Look for opportunities to increase the number of different words your child uses. Make your own books with your child. Play games that help with taking turns and concentrating. Here is some information about how children's communication skills usually develop by the age of 5. We have included some suggestions of activities to encourage communication at each age (tips). Use the language that you are most familiar and comfortable with. 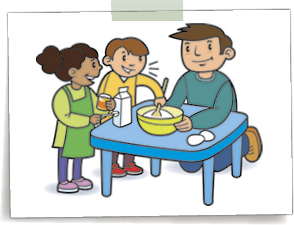 are able to retell stories they have heard in the right order, using some story phrases; for example, "once upon a time", "the end"
are able to ask for help appropriately; for example, "excuse me can I have....?" 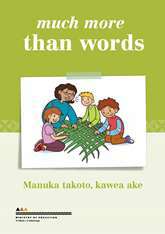 are able to identify first sounds in words; for example, "puku starts with p"
Who should I talk to if I am concerned about my child's communication? Talk to someone else who knows your child well; for example, your child’s teacher, doctor or a close family/whānau member. If you are still concerned, call the Ministry of Education at 0800 622 222 or check the Ministry of Education website for your local Ministry of Education office.